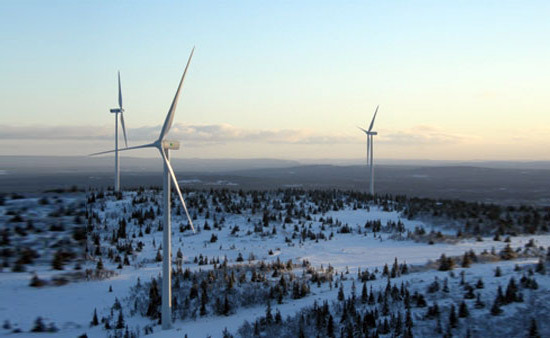 Maud Olofsson, Sweden’s Enterprise and Energy Minister, announced recently the addition of 2,000 wind turbines to the country’s alternative energy regimen. The move, which would be rolled out over the next ten years would add 10 terawatt hours of clean energy per year to their grid. But is that enough for the Scandinavian country? Apparently not because they’ve also set a goal for themselves to have 50 percent (yes, half!) of their electricity come from renewable sources by 2020! Sweden already has a great track record of being low-carbon due to much of their grid being powered by nuclear and hydropower. But, in order to reach their very ambitious new aim of 50 percent renewables by 2020, they’ll have to ramp up their use of solar, biofuels and wind (hence the 2000 turbines).